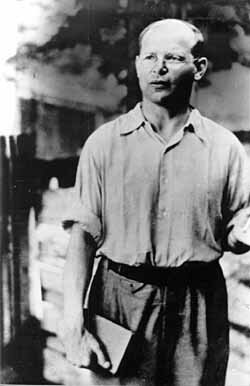 Seventy-five years ago today a young German woman stepped up the the guillotine at Munich’s Stadelheim Prison. She had been tried and convicted of treason for distributing a series of anti-Nazi leaflets by the Nazi Volksgericht or “People’s Court” under the direction of the notorious Judge Roland Freisler who gained further infamy in his show trials of those suspected of participating in or supporting the July 20th Bomb Plot against Hitler. I think that there is a lesson for us as well, and I think that it is a lesson that many of our young people will understand better than their elders. That my friends gives me hope for the future. 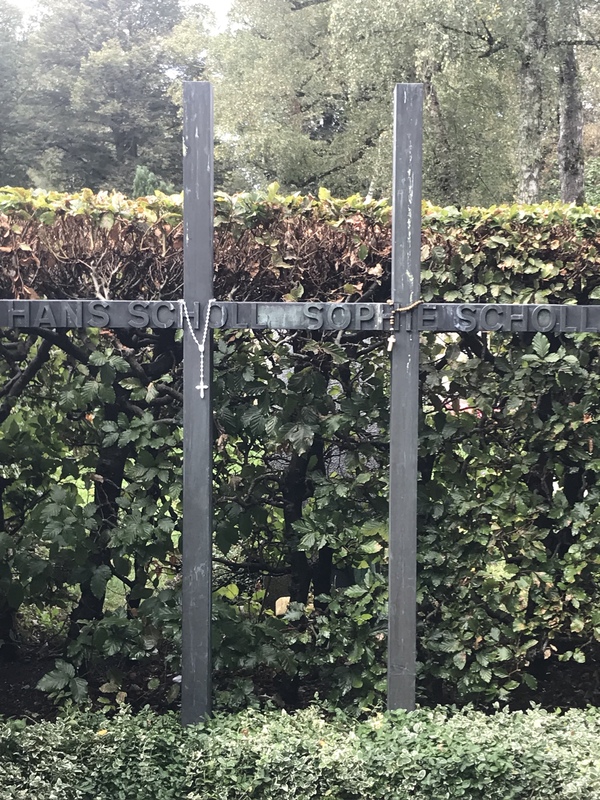 Just a few short thought for today following up on my article yesterday about my visit to Dachau. 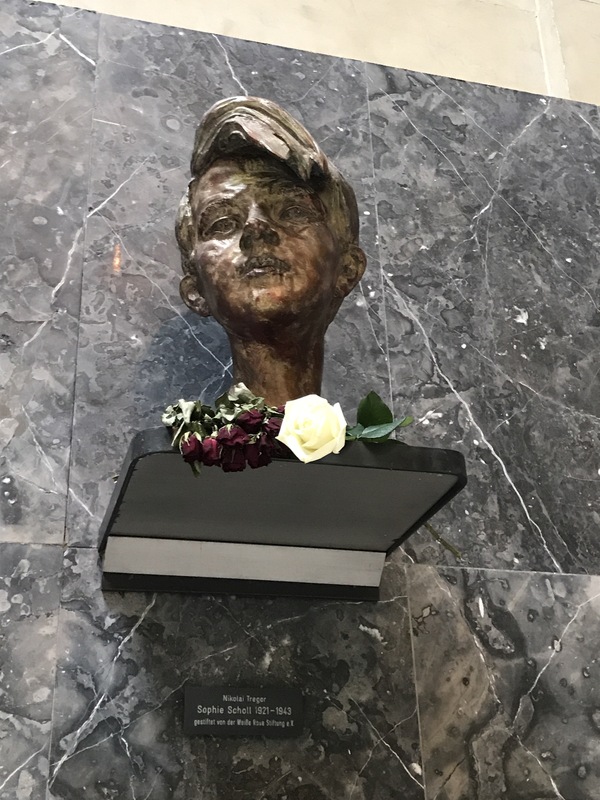 Today I had the chance to visit one of the memorials and a museum dedicated to the remembrance of Sophie Scholl and the members of the White Rose resistance group. The group was built around Scholl and a number of other students from the University in Munich during 1942 and 1943. I have written about them before but this was the first time that I was able to visit the location where much of their work was centered. Theirs is a remarkable story because stories like this are often buried by the propaganda machines of totalitarian regimes, but the shock of what these young people did was so great that the Nazi propaganda machine had to publicly confront it with the goal of instilling such fear that no one else’s would dare repeat it. There are a number of monuments scattered around Munich to the White Rose movement, but the most remarkable is the monument in front of the university where they studied and where they distributed their leaflets, facsimiles of their publications and letters are part of the pavement, as if they have been dropped on the ground for someone to pick up. Scholl, as well as her friends were students, some who in the course of their time of study who had been drafted into the Wehrmacht as medics, serving on the Russian front before returning to the University. 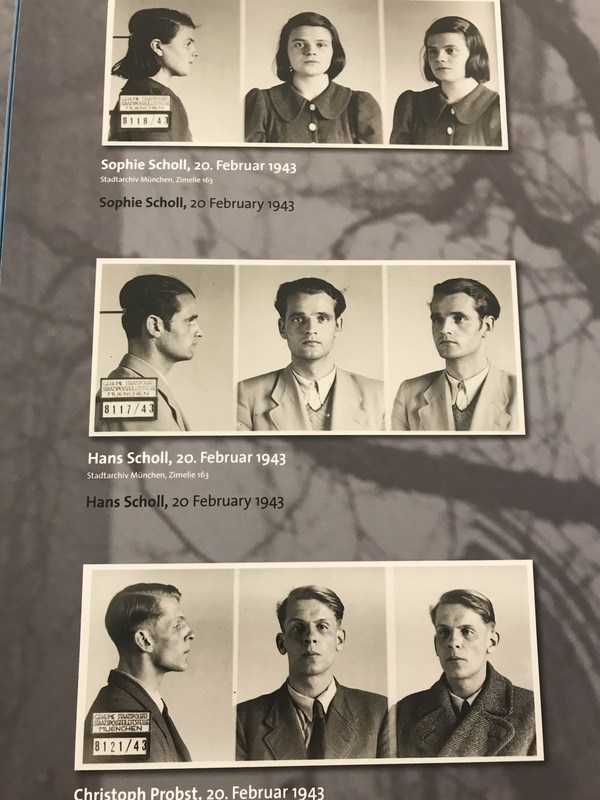 There were five of them, Scholl, Willi Graf, Alexander Schmorrel, Hans Scholl, and Christoph Probst, plus one of their professors, Professor Dr. Kurt Huber who began a resistance cell that focused on telling the truth about the crimes of the Nazi regime, and the lies of Hitler. 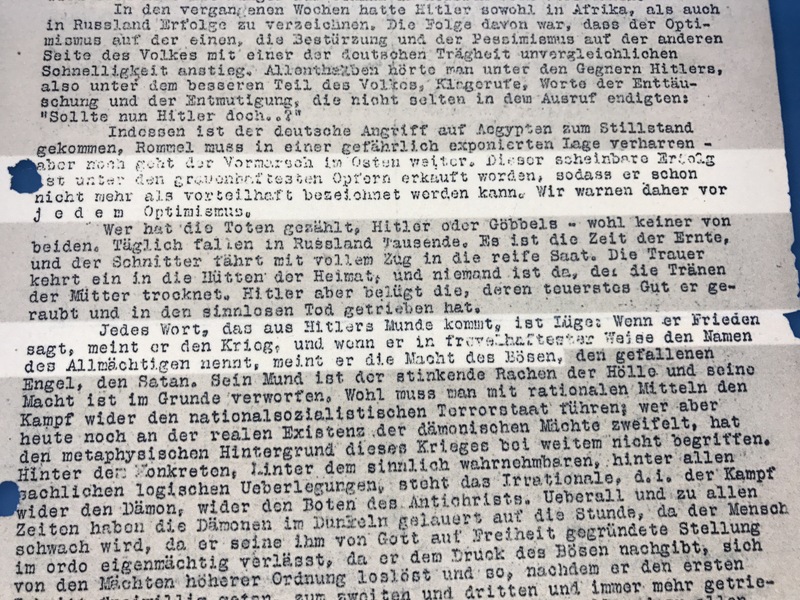 Telling the truth in a dictatorship is dangerous and although Scholl and her companions could have remained silent they had consciences that were guided by reason and human rights, as well as by their Christian faith, a faith which remained despite their aversion to the institutional church for its complicity with the Nazis. 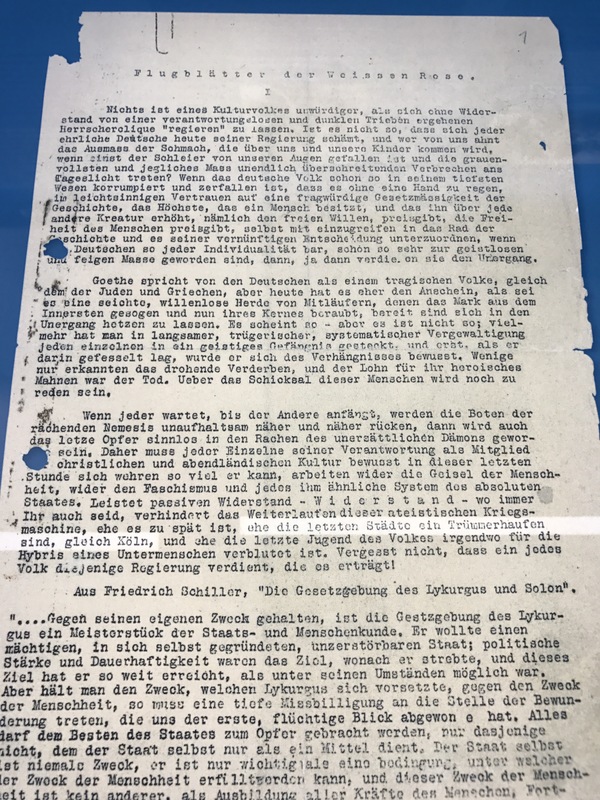 They published a series of six leaflets which they printed themselves and distributed around the university, the city, and to like minded people in a number of other cities. They asked those who got them to make as many copies as they could and distribute them. 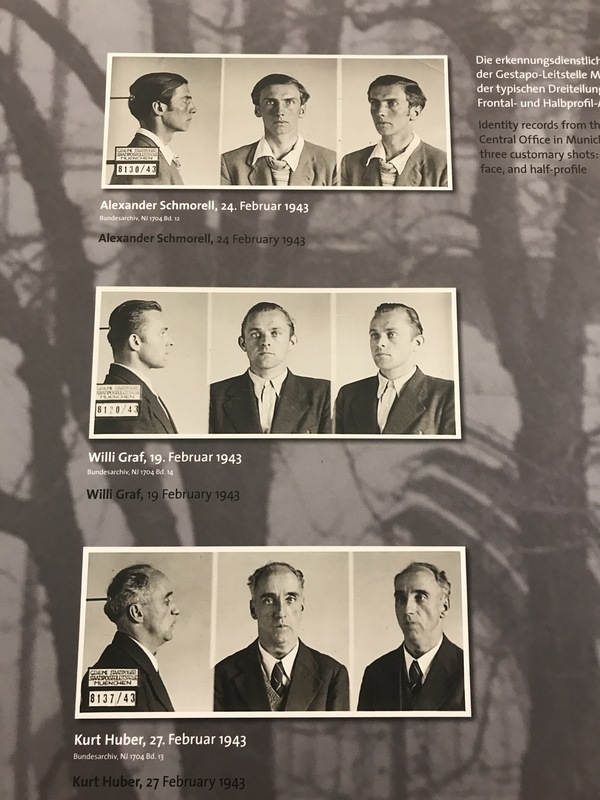 They were in the process of drafting a seventh when Scholl was spotted distributing them at the university by a maintenance man who was a member of the Nazi Party. 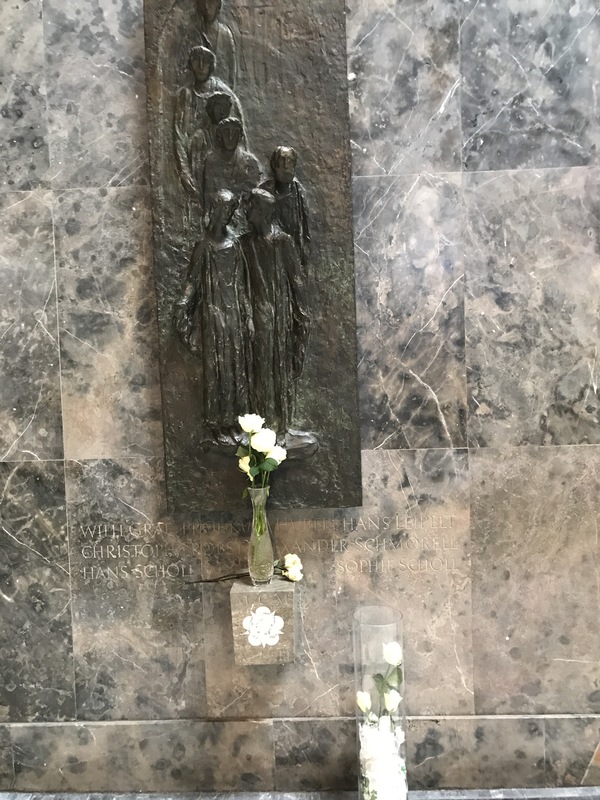 She and her friends were arrested on February 21st 1943 by the notorious Nazi People’s Court under the direction of Roland Freisler on the 22nd, and executed by beheading at Munich’s Stadelheim Prison on the 23rd. 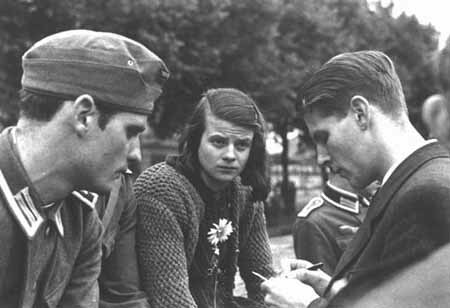 Sophie Scholl and her companions understood the risk, but they got their message heard at the highest level of government, and most were killed. 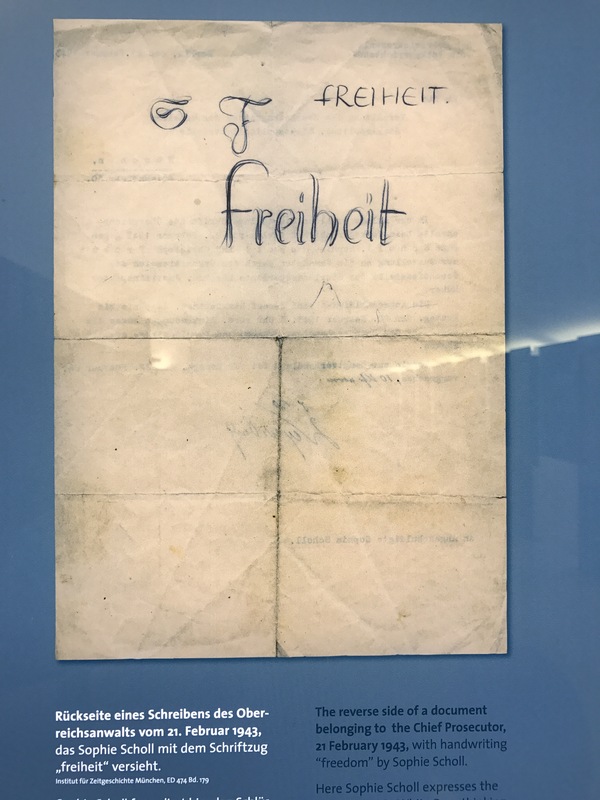 But their example of courage and belief in freedom and human rights is still stronger that they mightiest despot, and unlike their mighty yet evil rulers they are the ones that Germany remembers. I think that is a lesson for us as well. I’ll write about that another time.